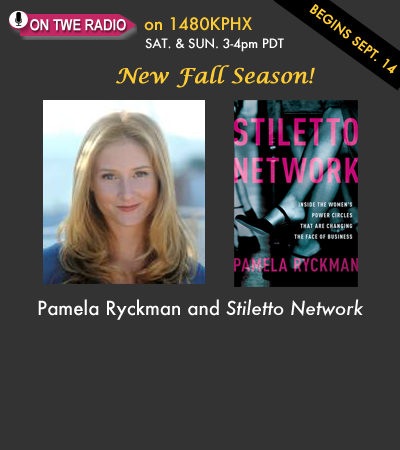 Journalist Pamela Ryckman has uncovered a groundswell of new women’s groups which she documents in her book Stiletto Network, Inside the Women’s Power Circles That are Changing the Face of Business. She says these networks are sprouting up all over the country in numbers never seen before. Pamela worked on Wall Street before becoming a writer for the New York Times, the International Herald Tribune and several other publications. In her new book she shares stories of women banding together to help other women realize their dreams and support their causes. 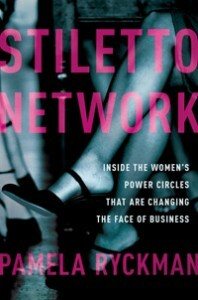 The Stiletto Network takes readers inside the women’s power circles that are changing the face of business. Journalist Pamela Ryckman describes how women are banding together in new networks to trigger change in the working world and to improve their lives. Listen to Pamela’s interview here.